^ Corkill, Edan. From Hollywood to Hirohito. The Japan Times. [2014-02-19]. 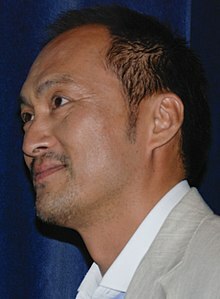 ^ Watanabe nominated for Academy Award 互联网档案馆的存檔，存档日期2012-02-14. ^ Sponichi Annex. 渡辺謙、南果歩との離婚を発表　結婚１３年目の破局　昨年３月に不倫発覚. 2018-05-17 [2018-05-18] （日语）. ^ on.cc東網. 為小三棄正印　渡邊謙與南果步離婚. 東方報業集團. 2018-05-17 [2018-05-18].